Four Christian missionaries were acquitted on September 24 of breach-of-peace charges stemming from their unjustified arrests as they engaged Muslims in civil dialogue at the Arab International Festival in Dearborn, Michigan. (One was convicted of not obeying a policeman's order, with the single-day sentence waived.) A factually challenged police report was no match for the group's videos documenting their protected speech. Mayor John B. O'Reilly Jr. responded to the verdicts by smearing the Christians as bigots. 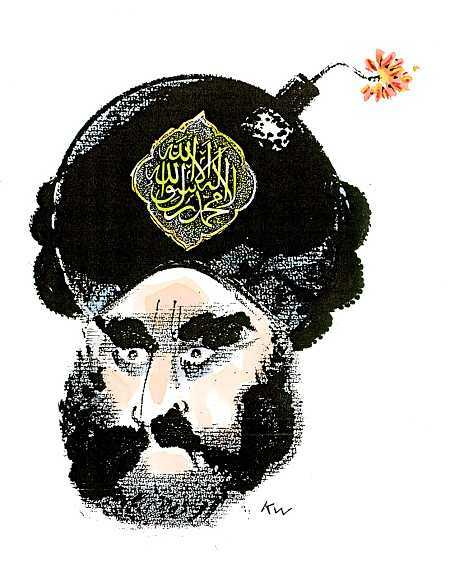 On September 21, Dutch prosecutors dropped charges against Gregorius Nekschot for posting "discriminating" anti-Islamic sketches (graphic examples here) on his website. Ten policemen arrested the cartoonist in 2008, an ordeal sparked by the complaint of a radical Muslim known for cheering Theo van Gogh's murder and hoping that Wilders dies of cancer. A trial would have endangered Nekschot by eradicating his anonymity. Burning the Koran may be both tasteless and counterproductive, but it is not (yet) illegal in the United States — at least not in Michigan. A charred and torn Koran was left at an East Lansing mosque on September 11, prompting police to offer a reward for leads. A man turned himself in, but the prosecutor announced on September 22 that he will close the case, as "there is no criminal offense that I can charge under Michigan law." German Chancellor Angela Merkel presented a freedom prize to Kurt Westergaard, creator of the most "explosive" of the Danish Muhammad cartoons, on September 8. The M100 Sanssouci Colloquium honored him "because he stands for what he is doing" in the face of threats. "It's about whether in a Western society with its values he is allowed to publish his Muhammad cartoons," Merkel said. "Is he allowed to do it? Yes, he is." August 27 saw the dismissal of fines against a Waite Park, Minnesota, man cited for posting crude anti-Islamic fliers. The city had punished him based on an ordinance banning printed materials on utility poles, but an appeal hearing ruled that the regulation had been applied selectively to single out this one individual — for some reason. President Obama signed legislation (the SPEECH Act) on August 10 to shield American writers and publishers from "libel tourism," the filing of nuisance lawsuits in plaintiff-friendly foreign courts, a tactic most notably used to target a terror finance expert. The federal legal system is now prohibited from enforcing defamation judgments issued in countries whose speech protections are weaker than the First Amendment's. Buck up, Westerners. The battle to preserve free speech is far from won, but it is not yet lost.